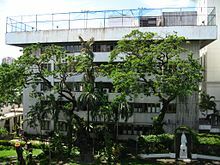 De La Salle University (Filipino: Pamantasang De La Salle, Unibersidad ng De La Salle), also known as La Salle and abbreviated DLSU, is a leading private, Catholic research university run by De La Salle Brothers located in Taft Avenue, Malate, Manila, Philippines. It was established in 1911 as the De La Salle College in Nozaleda Street, Paco, Manila with Br. Blimond Pierre FSC serving as first director. The educational institution moved to its present location on September 21 to facilitate the increase in enrollment. The college was granted university status in February 1975 and is the oldest constituent of De La Salle Philippines (DLSP), a network of 17 Lasallian institutions established in 2006 to replace the De La Salle University System. The university started as a boys' elementary and high school. In 1920 it began offering a two-year Associate in Arts Commerce program, which was later discontinued in 1931 in favour of a Bachelor of Science in Commerce programme. DLSU currently offers coeducational undergraduate and graduate degree programmes through its seven colleges and one school specializing in various disciplines, including business, engineering and liberal arts. The university is identified by the Philippine Commission on Higher Education (CHED) as a "Center of Excellence" in six of its programmes, and a "Center of Development" in 3 of its programmes. The university is also among the 40 institutions granted autonomous status by CHED as of 2010. Likewise, it is the first of the only two institutions granted the highest-level accreditation (Level IV) by the Philippine Accrediting Association of Schools, Colleges and Universities (PAASCU). The university ranks 151-160th and 601-650th in the 2013 Asian University Rankings and 2013 World University Rankings, respectively, published by Quacquarelli Symonds. The Philippines was one of the last Asian countries that the De La Salle Christian Brothers established themselves in because the country was dominated by several Spanish religious orders. Several years before the De La Salle Brothers were invited to the Philippines, the local American government ordered Ateneo to modernize and use English as a mode of instruction, but the Spanish Jesuits refused and argued that their allegiance was with Spain and not the United States of America. The Americans decided that it would be better for the De La Salle Brothers to take over the task, the Christian Brothers having established several reputable De La Salle schools worldwide that provided quality Christian-values-based education in more than 80 countries. The Americans have always known that De La Salle Brothers were up to the given task due to the Brother's main religious vocation was education. The De La Salle Brothers had 3 centuries of teaching experience making them highly knowledgeable, capable and qualified in providing modern educational methods to the young Filipinos in Manila. Initially, the De La Salle Brothers were very hesitant in establishing a De La Salle school in the country because the Americans insisted that the first De La Salle school should only educate the rich children of the Filipino ruling class. The Americans wanted the Christian Brothers to Americanize future Filipino leaders through Lasallian education. The American request puts the De La Salle Brothers in a dilemma because it ran contrary to the original teachings and charism of Saint Jean Baptiste de La Salle - Patron Saint of Teachers whose religious vocation was to provide tuition free, quality Christian-values-based education that empowered the less privileged and very poor children around the world. De La Salle University traces its founding roots to Manila archbishop Jeremiah James Harty. Harty, a graduate of a Lasallian school in the U.S. believed that the establishment of a De La Salle school in Manila would be instrumental and vital in preempting the spread of Protestantism in the Philippines through the arrival of the Thomasites and American Protestant church missions. His request would be later endorsed in 1907 by Pope Pius X. An envoy of De La Salle Brothers arrived in 1910. Together with Harty, the Brothers searched for a suitable campus. A 13,000 m2 (140,000 sq ft) property in Paco, Manila was purchased for this purpose. The De La Salle College was originally established as an elementary school, then later on as a high school exclusively for boys on June 16, 1911 by the De La Salle Brothers. Br. Blimond Pierre Eilenbecker FSC, Br. Aloysius Gonzaga McGiverin FSC, and Br. Augusto Correge FSC, who arrived in Manila in March 1911. Classes started on the same day with 125 students, with 175 by July 10. On February 12, 1912, the college was incorporated under the sole ownership of the college director, who was then Eilenbecker. The college was permitted to confer high school diplomas in the same year. Meanwhile, it received a charter from the Governor-General of the Philippines, allowing the college to confer associate degrees in commerce. It started offering the degree as a two-year program in 1920. In 1931, the College discontinued its two-year commerce program in favor of a three-year Bachelor of Science in Commerce program, which was approved a year earlier. A few hours before the Imperial Japanese Army could enter and ravage the "Open City" of Manila a contingent of young La Salle boys led by a De La Salle Brother marched on from Taft Avenue all the way towards the pre-war Ateneo de Manila, Padre Faura campus (presently occupied by a popular mall chain branch owned by a notable Lasallian alumnus). During the initial outbreak of the invasion of Manila by the Japanese Marines, several La Salle boys dutifully helped secure and save Ateneo's prized "Jesuit Bell" along with several valuable Jesuit religious antiques just before the Japanese shock troops could enter Manila and ransack the Jesuits' pre-war campus. Initially, the De La Salle campus served as a secret shelter for several displaced civilians, wounded soldiers and Filipino guerilla fighters at the beginning of the Japanese occupation. However, later on it was occupied by the Japanese forces, and was made into a military defense quarters on January 2, 1942. Several repeated bombings severely damaged the DLSC campus. Despite this, classes continued as the Christian Brothers taught on during the Japanese occupation of Manila. It was at this moment that several of the De La Salle boys along with the Ateneo boys had to set their school rivalry aside and amicably share their classrooms with each other along with several other students from various neighboring schools. Several schools discontinued their operations and had closed due to the fall of Manila by the Japanese invading forces. The DLSC high school classes were later on transferred to St. Scholastica's College in 1943. The classes were eventually discontinued at the De La Salle campus. On February 1, 1945, Japanese forces ordered the occupants of the DLSC and the surrounding vicinity to vacate the college. However, Egbert Xavier Kelly, the Brother president of the college, bravely refused the order to vacate. On February 7, Br. Kelly FSC was abducted by Japanese soldiers, and was never seen again; he was believed to have been mercilessly tortured and killed. On February 12 shortly after noontime, 20 Japanese soldiers came and forcibly barged into the DLSC campus and massacred 16 of the 17 De La Salle Brothers residing in the campus, along with 25 other residents. Only one Lasallian Brother (Antonius von Jesus) and 21 other civilians survived the tragic event. Classes resumed in July 1945 with a class of incoming freshmen that was composed of 60 high school graduates. One year later, the College of Commerce reopened with its three-year BS Commerce program extended to a four-year program. The High School Department of De La Salle College was dissolved in 1968. The college, together with Ateneo de Manila University, gave birth to the Asian Institute of Management in the same year with assistance from the Ford Foundation and Harvard University. Several other units were established in the following years. The 1970s marked substantial developments in De La Salle College. For instance, it started admitting female students in 1973. On February 19, 1975, De La Salle College was granted university status. Since then it became known as De La Salle University. 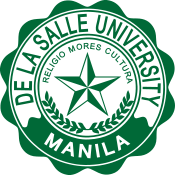 It also used the name De La Salle University – Manila. Since 2008, it has since referred to itself only as De La Salle University, being its registered name in the Philippine Securities and Exchange Commission. The Grade School Department was deprecated in 1978. The 1980s were also significant for the institution. In 1981, De La Salle University shifted from the traditional semestral academic calendar to a trimestral one. In 1987, the university, together with four other Lasallian institutions, became part of the De La Salle University System. The system would later be dissolved in favor of De La Salle Philippines, a network of 18 Lasallian institutions. De La Salle – College of Saint Benilde became independent of the university in 1988. An Mk 2 grenade was detonated outside the southern portion of the DLSU campus in front of a popular burger shop along Taft Avenue on September 26, 2010 at around 5:05 pm by opposing rival Law fraternities PST, the same day as the Philippine Bar exams conducted by the university. The blast injured 47 individuals, two of whom required limbs to be amputated. Anthony Leal Nepomuceno was indicted by the Philippine Department of Justice on April 29, 2011, on the charge of detonating the device. 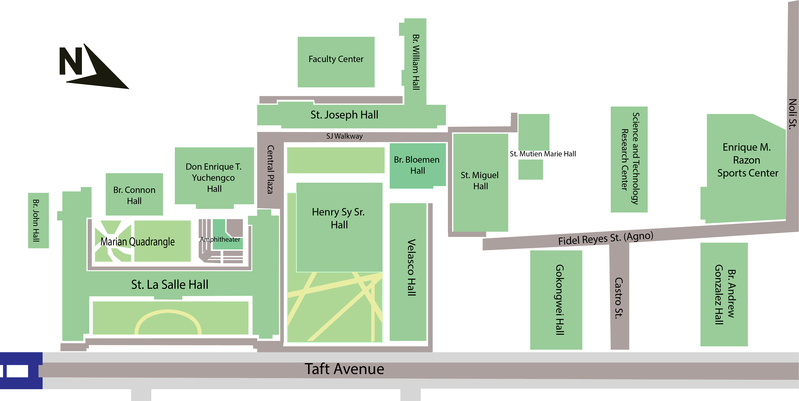 The Taft campus consists of 19 buildings (nine classroom buildings and 10 other buildings for administrative and auxiliary functions) located on a 5.45 ha (13.5-acre) lot in 2401 Taft Avenue Malate, Manila. The campus faces to its right the main campus of De La Salle – College of Saint Benilde, a sister Lasallian institution, and the Vito Cruz Station of the Manila LRT Line 1. As part of the University Belt, several other colleges and universities, including St. Scholastica's College and Philippine Women's University, can be found near the campus. St Joseph Hall, a six-storey building completed in 1956. It was the location of the DLSU library from 1956 to 1985. It houses the College of Science and DLSU's Discipline Office. The DLSU campus which is relatively small in size for its large student population, suffers from limited space. According to The LaSallian, each student had only 7.1 m2 (76 sq ft) for himself in 2009. Crowding is expected to only get worse as the university's population has been continuously growing with the growth for 2008–2009 amounting to 27.7 percent. It has also expressed concerns regarding fire safety, citing possible evacuation difficulties should a fire occur at the Br. Andrew Gonzalez Hall, and accessibility issues for fire trucks given the lack of wide roads to major buildings. At least three fires have occurred in the campus, including two at St. Joseph Hall. To address the problem of limited space, DLSU has resolved to vertical expansion. However, this has resulted in overcrowded elevators. 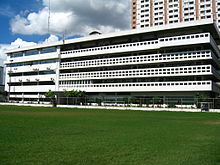 The De La Salle University Science and Technology Complex (DLSU-STC) is a satellite campus of De La Salle University (DLSU) located in Biñan City, Laguna, Philippines. The 55-hectare campus was built on land donated by the family of the late National Artist for Architecture De La Salle alumnus Leandro Locsin. It was originally known as De La Salle Canlubang (DLSC), a district school of De La Salle Philippines that provided science and technology-based primary, secondary, and tertiary education. In 2012, the administrations of DLSU and DLSC approved the integration of DLSC into DLSU, becoming the DLSU Science and Technology Complex (STC). As of 2018[update] only 0.6 ha (1.5 acres) of DLSU-STC's campus is developed. Under the proposal, DLSU would expand the Colleges of Engineering, Computer Studies, and Science to DLSU-STC's campus due to its location inside the Laguna Technopark. DLSU fears, however, that it might lose some of its students due to the DLSU-STC campus's distance from Manila (around 42 km). The Makati Campus is an extension campus of DLSU in RCBC Plaza, Ayala Avenue, Makati City, Philippines. The campus primarily serves the university's graduate business students. In September 2013, the Bases Conversion and Development Authority (BCDA) has awarded to De La Salle University the lease and development of a 1,395 square-meter institutional lot in Bonifacio Global City in Taguig City. DLSU signed a contract with BCDA in October 2013. It is now the DLSU College of Law. Notes Names in italics were acting presidents. As a non-stock incorporated entity, DLSU is headed by a 15-person board of trustees. The DLSU Board of Trustees, currently chaired by Jose T. Pardo, selects the DLSU President. As resolved by the Board of Trustees in June 2010, the president of De La Salle University must be a Lasallian Brother and be a holder of a PhD. Filipino citizenship is not a must but preferred. Prior to the university's move to its present location in 1921, the president was referred to as the director. The president and chancellor, currently Br. Ricardo P. Laguda FSC, is assisted by four vice chancellors. Prior to the reorganization of DLSU in 2007, the chancellor was referred to as the executive vice president. The president may concurrently be the chancellor of the university, as with former President and Chancellor Br. Armin Luistro FSC. DLSU is also a member of several international university associations, namely: the ASEAN University Network, Association of Christian Universities and Colleges in Asia, Association of Southeast and East Asian Catholic Colleges and Universities, Association of Southeast Asian Institutions of Higher Learning, International Association of Lasallian Universities, International Association of Universities, International Federation of Catholic Universities, United Board for Christian Higher Education in Asia and University Cooperation for Internationalisation. The university is also a member of local organizations, including the Philippine Association for Technological and the South Manila Inter-Institutional Consortium. De La Salle Philippines, is a member of a 350-year old international network of 1,500 Lasallian educational institutions that provides quality Christian-values-based education inspired by Saint La Salle's charism and spirit of Faith and Zeal. Thousands of De La Salle schools educate and teach in 7 continents and are globally established in 82 countries. The University Student Government (USG), headed by Mikee de Vega, is the highest governing student organization. Under it are College Student Governments and Batch Student Governments for each of DLSU's colleges and student batches, respectively. The Legislative Assembly is the highest policy-making body. Prior to a constitutional change in 2010, the (USG) was known as the Student Council. Among such changes with the new system is the Judiciary Branch, which was created to ensure the accountability of the elected officers in the University Student Government. Among its activities were prohibiting the use of polystyrene in food packages in food kiosks along Agno St, and raising ₱200,000 (US$4,630) for the Achiever Scholar program. It had a total endowment of ₱1,424,790.08 (US$32,900) in 2010, including ₱558,000 (US$12,900) appropriated by the university. The College of Science, established in 1920, is the oldest degree-granting unit of the university. In contrast, the College of Business, College of Law, School of Economics (all established in 2010) are the newest of the university. The College of Business and the School of Economics are the products of the reorganization of the defunct College of Business and Economics. The College of Law was established with initially 90 students. It offers a Juris Doctor degree program with focus on environmental and human rights law. De La Salle's Tuition fee is one of the highest in the Philippines in terms of annual payment and may vary in different colleges within the university. In 2013, tuition per trimester ranged from ₱57,000 (US$1,285) for the College of Law to ₱90,000 (US$2,035) for the College of Engineering. Meanwhile, the average graduate tuition fee per year in 2009 ranged from US$2,560 for Filipino students to US$2,610 for non-Filipino students. High school valedictorians and salutatorians of DLSP schools are automatically exempt from paying fees under the Br. Andrew Gonzalez Academic Scholarship. Also, dependents of military personnel who died or became incapacitated during duty enjoy similar benefits through PD 577. Meanwhile, children of faculty and staff, university athletes and performing artists, and senior editors of DLSU student publications are provided tuition fee discounts. Further financial assistance may be provided to students with annual family incomes less than ₱500,000 (US$11,600). The university ranks third in the official Philippine ranking of universities run by the Commission on Higher Education (CHED); the first being UP Diliman; second, UP Los Banos; and fourth, Ateneo de Manila. It was ranked in the QS World University Rankings (801-1000) as well as the QS Asian University Rankings (151-160). The university was included in 2019 edition of the Times Higher Education World University Rankings (THE), ranking 801-1000 in the world. The university has yet to appear in any edition of the Academic Ranking of World Universities (ARWU). De La Salle University is identified by the CHED as a "Center of Excellence" in seven disciplines (namely biology, chemistry, Filipino, information technology, literature, mathematics, physics), teacher education, and a "Center of Development" in the field of political science and engineering (namely chemical engineering, civil engineering, industrial engineering, electronics and communications engineering, computer engineering and mechanical engineering). The university is also among the 40 institutions granted autonomous status by CHED as of 2010. Autonomous institutions have the privilege to determine their own curriculum, and offer new courses without prior approval from CHED, among others. It is the first of the only two institutions (the other being Ateneo) granted the highest-level accreditation (Level IV) by the Philippine Accrediting Association of Schools, Colleges and Universities. All of its undergraduate programs that are accredited by PAASCU are designated Level III while graduate programs are designated Level II. The De La Salle University (DLSU) Library, now called the Learning Commons, recently transferred to its new home at the Henry Sy Sr. Hall. The college library was established in 1956 upon the merger of the high school and college libraries. It was located on the first two floors of St. Joseph Hall with a seating capacity of 100 persons and a collection of almost 10,000 books. Its collection includes 21,218 titles and 33,741 volumes on language and literature as of 2008, 3,751 titles and 4,898 volumes on fine arts and music as of 2006, and 17,999 titles and 26,526 volumes on philosophy and religion as of 2005. A 2001 assessment places its number of periodicals at 14,362 titles. The library has among the highest borrowing limit per person (30 books), longest loan period (14 days) and highest overdue fine (₱20 per day; US$0.46 per day). 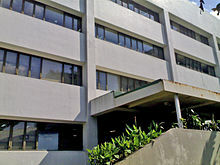 The University Archives grew from its early beginnings in 1973 as the College Archives to a major department/unit in 1989, occupying the fourth floor of the DLSU Library. It holds materials of historical significance to the university (many of which were lost during the Second World War), and acts as its "official memory". The Archives now holds not only the theses collection and the university records, but also the special collections (consisting of books as well as non-book materials, manuscripts and personal papers), faculty publications, De La Salle publications, LaSalliana collection, and museum artifacts among others. Its museum collection includes over 600 ceramic artifacts from Southeast Asia dating back as early as 200 BC, almost 400 specimens of rare Philippine banknotes and coins, over 200 artworks. In addition, it has 298 volumes of film scripts, 766 audio tapes, 66 video tapes, 1,205 volumes on health and nutrition, and 1,050 books and journals on neurology and related disciplines, among others. Several of these collections were donations previously owned by various notable Lasallians, including Senator Jose "Pepe" Diokno, Don Francisco Ortigas Jr., José Javier Reyes and Senator Lorenzo Tañada. The De La Salle University Science Foundation serves as DLSU's repository of research funding providing research grants to faculty, and scholarship grants to students. Registered in April 1998, its total assets were worth over ₱8.5 billion (US$197 million) in 2008. 120 (20 percent) of DLSU faculty had been involved in 80 research projects between March 2008 and February 2009. 39 (12 percent) of its faculty had their research published in ISI-listed journals in 2008. Both of the only two solar cars, SINAG (Tagalog for light beam) and SIKAT (brilliance), of the Philippines were made by DLSU engineering faculty and students. SINAG participated in the 2007 World Solar Challenge, and finished 12th among 40 entries. SIKAT (which has more advanced solar cells, a more aerodynamic body, and 100 kg less weight) will participate in the 2011 competition. The project is funded by several private companies, including Ford Philippines, Pilipinas Shell, Philippine Airlines and San Miguel Corporation. The LaSallian (first published in 1960) and Ang Pahayagang Plaridel (Tagalog for The Plaridel Newspaper; first published in 1984) are the official student newspapers of the university. The two, written in English and Filipino respectively, are among the four periodicals managed by the Student Media Office. Other student media groups managed by the Student Media Office include the Malate Literary Portfolio, Green & White, Green Giant FM, and Archers Network. The La Salle Dance Company–Street is the first champion of the UAAP Street Dance Competition, an annual event organized by the University Athletic Association of the Philippines in 2011. They also represent the country as frequent finalists in the World Hip Hop Dance Championships. Other groups in the company specialize in contemporary and folk. Established around 1966, the Harlequin Theatre Guild is the official theater organization of DLSU. It has performed plays written by Palanca Awards laureates, including Unang Ulan ng Mayo (Tagalog for First Rainfall of May) by John Iremil Teodoro, which was staged for the fourth time in December 2011 in line with the LGBT month of Metro Manila and Rizal is My President: 40 Leadership Tips from Jose Rizal by Joshua So based on the book written by Napoleon G. Almonte and staged during the May 2009 Presidential Elections. De La Salle has several varsity teams and sport clubs participating in different sports competitions, most notably basketball, volleyball, football and cheerleading. Since 1986, De La Salle University has been a member of the University Athletic Association of the Philippines, an intercollegiate sporting association formed in 1938. The university was also a founding member of National Collegiate Athletic Association, in which it won five grand championships. The university won its first general championship in the UAAP in 2012. Less than a century ago Brother John FSC established the pre-war NCAA as the first and oldest collegiate athletic association in the Philippines. The DLSU Animo Squad was originally known in its pre-war NCAA years as Br. Lynam's 1926 LaS Rah!Rah!Boys, then a couple years later as the LSC Yell Command. Decades later on as the post-war DLSC Cheerleading Squad then in the 80's as the DLSU Pep Squad in the UAAP prior to its recent rename by Br. Bernie Oca FSC in 2008 as the present DLSU AN1MO! Squad. The DLSU Green & White Spirit Team has won five cheer dance podium finishes in the span of its UAAP participation, in 1994, 1996, 1998, 2011 and 2013. The original De La Salle Yell Command was established in 1926 with four LaS Rah!Rah!Boys / LSC Yell Command pioneers. The initial members of the cheering squad were all male until the inclusion of female cheerleaders in the early 1970s. In 1941 the G&W annual featured a photo of four grade school boys who proudly wore their Green Archer costumes and formed the first Green Archer GS cheerleading squad. The DLSC cheerleading squad was the first spirit team in the NCAA and the UAAP to have female cheerleaders. The first female DLSC cheerleaders were then cross-enrollees from St. Scholastica's College, Manila years before De La Salle College turned co-educational. The origins of the Lasallian tradition of singing Br. Stephen Malachy and Br. Bonaventure Richard's - "Hail to De La Salle" Alma Mater Song after every Lasallian gathering, event and varsity game while doing the raised, clenched fist salute as the "HAIL!, HAIL!, HAIL!" that's passionately sung was a decades-old DLSC squad original. This several decades old Lasallian tradition was initiated by our DLSC cheerleading squad during the final buzzer of our DLSC Green Archer's winless 1970's NCAA basketball season. This indestructible spirit of "Invictus La Salle!" has been emulated and copied by several former NCAA and present UAAP rival schools ever since. The LaS Rah! Rah! Boys, LSC, DLSC Yell Commanders that was initially established in 1926 until the present DLSU AN1MO! Squad has been continuously cheerleading for 93 years. Jose de Venecia Jr., Speaker of the House of Representatives of the Philippines in 1992–1998 and 2005–2008. He graduated from high school at De La Salle College in 1951. Jack Ma, owner of Alibaba Group Chinese e-commerce company that provides consumer-to-consumer, business-to-consumer and business-to-business sales services via web portals. He is one of China's richest men, as well as one of the wealthiest people in Asia, with a net worth of US$46.9 billion, as of October 2017. The degree of Doctor of Science in Technopreneurship, honoris causa was conferred on him in October 2017. ^ a b c d e "De La Salle University". De La Salle Philippines. Retrieved May 14, 2011. ^ a b "General Information". De La Salle University. Retrieved May 14, 2011. ^ a b c d e f g h i j "Linkages with International Organizations". De La Salle University. Retrieved May 14, 2011. ^ a b "External Relations". De La Salle University. Retrieved May 14, 2011. ^ a b "Member schools". Philippine Association for Technical Education. Retrieved May 14, 2011. ^ a b c "History: 1970". De La Salle University. Retrieved May 14, 2011. ^ a b Rene R. Fuentes. "De La Salle University Science Foundation, Inc". De La Salle University. Retrieved May 21, 2011. ^ "faculty". De La Salle University. Retrieved July 29, 2014. ^ "Undergrad". De La Salle University. Retrieved July 29, 2014. ^ "grad". De La Salle University. Retrieved July 29, 2014. ^ a b c d e Kim Mendoza; David Pagulayan; Lyzette Siazar (January 23, 2011). "Lasallians suffer from limited campus space". The LaSallian. Manila. Retrieved May 16, 2011. ^ "University Athletic Association of the Philippines". De La Salle University. Retrieved May 14, 2011. ^ a b c "College history". De La Salle-College of Saint Benilde. Retrieved May 14, 2011. ^ a b "De La Salle Philippines: A Brief History". De La Salle Philippines. Retrieved May 14, 2011. ^ a b c d e f g "History". De La Salle University. Retrieved May 14, 2011. ^ a b c d e f g "History: 1920". De La Salle University. Retrieved May 15, 2011. ^ a b "List of Centers of Excellence and Centers of Development". Commission on Higher Education. October 4, 2010. Retrieved May 14, 2011. ^ a b Jessica B. Natad (June 7, 2010). "CHED grants autonomous status to CDU". The Philippine Star. Retrieved May 14, 2011. ^ a b "PAASCU awards DLSU Level IV status". De La Salle University. Retrieved May 16, 2011. ^ "Asian University Rankings 2013 – Top 200". QS Quacquarelli Symonds Limited. 2013. Retrieved March 16, 2012. ^ "World University Rankings 2013". QS Quacquarelli Symonds Limited. 2013. Retrieved March 16, 2014. ^ Student handbook 2003–06 (PDF). Manila: De La Salle University. June 26, 2003. Retrieved May 15, 2011. ^ "The founding (1911–1920): Prologue: A Harty Request". Philippine Lasallian Family. Archived from the original on August 10, 2011. Retrieved May 15, 2011. ^ "The founding (1911–1920): The House on Nozaleda Street". Philippine Lasallian Family. Archived from the original on August 10, 2011. Retrieved May 15, 2011. ^ a b Rachel C. Barawid (May 6, 2011). "DLSU through 100 seasons of mission and learning". Manila Bulletin. Retrieved May 15, 2011. ^ a b "The founding (1911–1920): School Year 1911–1912". Philippine Lasallian Family. Archived from the original on August 10, 2011. Retrieved May 15, 2011. ^ "History: 1910". De La Salle University. Retrieved May 15, 2011. ^ a b "History: 1940". De La Salle University. Retrieved May 15, 2011. ^ "Taft Avenue (1921–1945): War comes to Manila". Philippine Lasallian Family. Archived from the original on March 11, 2012. Retrieved May 15, 2011. ^ Andrew Gonzales FSC; Alejandro T. Reyes (February 11, 2008). "Our Martyrs" (PDF). 2401. Manila. 39 (17): 5. Retrieved May 15, 2011. ^ a b c "History: 1960". De La Salle University. Retrieved May 15, 2011. ^ "History". Asian Institute of Management. Retrieved May 15, 2011. ^ Cite error: The named reference Centennial 1960 was invoked but never defined (see the help page). ^ "Official name of the university" (PDF). 2401. Manila. 40 (6): 2. August 11, 2008. Retrieved May 16, 2011. ^ "Legalities". De La Salle University. Retrieved May 16, 2011. ^ a b c d e "History: 1980". De La Salle University. Retrieved May 16, 2011. ^ DJ Yap (September 26, 2010). "Blast rocks end of bar exams at DLSU; 35 hurt". Philippine Daily Inquirer. Retrieved May 16, 2011. ^ "DOJ confident prime suspect in De La Salle blast will be arrested". Balita. Philippine News Agency. October 27, 2010. Retrieved May 16, 2011. ^ "Students' legs amputated after Manila bombing". Radio France International. September 8, 2010. Retrieved May 16, 2011. ^ Doris Franche (April 29, 2011). "La Salle 'bomber' kasuhan! – DOJ". Pilipino Star Ngayon (in Tagalog). Retrieved May 16, 2011. ^ a b c Annie A. Laborte (September 2007). "The Buildings of La Salle". Benchmark. Supreme Court of the Philippines Public Information Office. Retrieved May 16, 2011. ^ "Tomas B. Mapua (1888–1965)" (PDF). National Historical Commission of the Philippines. Archived from the original (PDF) on May 25, 2011. Retrieved May 16, 2011. ^ "Retrofitting of St. La Salle Hall". De La Salle University. Retrieved May 16, 2011. ^ a b Audrey Virgula (November 21, 2010). "DLSU Taft, to partner with Canlubang campus". The LaSallian. Manila. Retrieved May 16, 2011. ^ Augusto Villalon (April 12, 2009). "DLSU building included in int'l best-of list". Philippine Daily Inquirer. Archived from the original on July 26, 2012. Retrieved May 16, 2011. ^ "History: 1950". De La Salle University. Retrieved May 16, 2011. ^ "History". De La Salle Philippines. Retrieved May 16, 2011. ^ "Programs and Services". De La Salle University. Retrieved May 16, 2011. ^ "Don Enrique T. Yuchengco Hall to be inaugurated". DLSU Newsletter. Manila. 34 (12). June 12, 2002. Archived from the original on July 17, 2011. Retrieved May 16, 2011. ^ "DLSU–M inaugurates the Br. Andrew Gonzalez Hall" (PDF). 2401. Manila. 38 (20): 7. March 5, 2007. Archived from the original (PDF) on July 17, 2011. Retrieved May 16, 2011. ^ "Edifice for Bro. Andrew". Philip H. Recto Architects. Retrieved May 16, 2011. ^ "Crossroads for campus activities" (PDF). 2401. Manila. 42 (6): 3. June 16, 2010. Retrieved May 16, 2011. ^ Jan-Ace Mendoza (December 30, 2010). "It's really happening: Centennial Building construction, commenced". Retrieved May 16, 2011. ^ Jessy Go (November 21, 2010). "Presenting… our USG officers!". The LaSallian. Manila. Retrieved May 18, 2011. ^ "Rizal Memorial football field up for renovation". GMA News. September 2, 2010. Retrieved May 16, 2011. ^ Mike Lee (May 8, 2010). "PSC, La Salle forge deal". Bandera. Manila. Retrieved May 16, 2011. ^ Peter Atencio (February 14, 2010). "La Salle eyes football field at Rizal arena". Manila Standard Today. Retrieved May 16, 2011. ^ Audrey Virgula (November 21, 2010). "I don't want to die". The LaSallian. Manila. Retrieved May 17, 2011. ^ Br. Ricardo P. Laguda FSC (February 14, 2011). "DLSU-DLSC Proposed Merger". De La Salle University. Retrieved May 17, 2011. ^ "BCDA awards last lot in BGC institutional area to DLSU". The Daily Tribiune. September 22, 2013. Retrieved September 22, 2013. ^ "DLSU wins bid for Bonifacio lot". ABS-CBN News. September 21, 2013. Retrieved September 22, 2013. ^ a b "De La Salle University, Incorporated". De La Salle University. Retrieved May 14, 2011. ^ "De La Salle University Presidents". De La Salle University. Retrieved May 14, 2011. ^ Oscar Bautista; Victor Ordoñez; Bikas C. Sanyal (1992). "Chapter 1: Institutional background". In Joyce Collins (ed.). Change from a semester to a trimester system at the De La Salle University, Philippines (PDF). Paris: International Institute for Educational Planning. p. 4. Retrieved May 19, 2011. ^ "Office of the President and Chancellor". De La Salle University. Retrieved May 18, 2011. ^ "DLSU–Manila opens SY 2007–2008 with new admin posts" (PDF). 2401. Manila. 39 (9): 9. May 30, 2007. Retrieved May 18, 2011. ^ Office of the President and Chancellor (July 1, 2010). "Search for a New President of De La Salle University". De La Salle University. Retrieved May 18, 2011. ^ "An inspired life" (PDF). 2401. Manila. 42 (7): 5. August 31, 2010. Retrieved May 18, 2011. ^ "A Tribute to Secretary Andrew Gonzalez, FSC Education Secretary, July 1998 – January 2001". Department of Education. Retrieved May 18, 2011. ^ Roy Lagarde (July 18, 2010). "Religious brother appointed to state cabinet". CBCP Monitor. Manila. CBCP News. 14 (14): A8. Retrieved May 18, 2011. ^ "DLSU Presidents" (PDF). 2401. Manila. 42 (7): 6. June 30, 2010. Retrieved May 18, 2011. ^ Ferdinand Fabella (July 12, 2010). "La Sallite heads Taguig university". Manila Standard Today. Retrieved May 18, 2011. ^ "University Student Government Constitution" (PDF). De La Salle University. pp. 5, 9–10, 12. Retrieved May 18, 2011. ^ "University Student Government Constitution" (PDF). De La Salle University. pp. 17–18. Retrieved May 18, 2011. ^ Olivia Estrada; David Pagulayan; Juan Batalla (November 5, 2010). "USG: What difference did it make?". The LaSallian. Manila. Retrieved May 19, 2011. ^ Srishti Lakhmani; Olivia Estrada (November 21, 2010). "Eyebrows raised on USG's fund-raising activities". The LaSallian. Manila. Retrieved May 18, 2011. ^ a b c "DLSU establishes College of Business and School of Economics" (PDF). 41 (16). Manila: De La Salle University. February 1, 2010: 3. Retrieved May 19, 2011. ^ "Historical Background". De La Salle University. Retrieved May 19, 2011. ^ "History: 1930". De La Salle University. Retrieved May 15, 2011. ^ "College of Engineering". De La Salle University. Retrieved May 19, 2011. ^ "DLSU launches School of Law" (PDF). 2401. Manila. 40 (21): 3. April 13, 2009. Retrieved May 19, 2011. ^ "College of Liberal Arts". De La Salle University. Retrieved May 19, 2011. ^ "Graduate Degree Programs". De La Salle University. Retrieved May 20, 2011. ^ De La Salle University Undergraduate Viewbook (PDF). Manila: De La Salle University. 2011. pp. 14–49. Retrieved May 19, 2011. ^ "BS MEM Specialization in Mechatronics and Robotics Engineering (MEM-MRE)". De La Salle University. Retrieved May 23, 2011. ^ "Undergraduate Students". De La Salle University. Retrieved May 14, 2011. ^ "Graduate Students". De La Salle University. Retrieved May 14, 2011. ^ "Overview". De La Salle University. Retrieved May 19, 2011. ^ "Faculty". De La Salle University Undergraduate Viewbook (PDF). Manila: De La Salle University. 2011. p. 12. Retrieved May 19, 2011. ^ "DLSU submits College of Law proposal to CHED" (PDF). 2401. Manila. 40 (4): 3. July 14, 2008. Retrieved May 19, 2011. ^ "Freshmen". De La Salle University. Retrieved May 20, 2011. ^ "Section 10: Graduation" (PDF). Student Handbook (PDF). Manila: De La Salle University. p. 1. Retrieved May 20, 2011. ^ "Graduation". De La Salle University. Retrieved May 20, 2011. ^ List of candidates for graduation: 158th Commencement Exercises (PDF). De La Salle University Office of the University Registrar. June 20, 2010. p. 35. Retrieved May 20, 2011. ^ List of candidates for graduation: 159th Commencement Exercises (PDF). De La Salle University Office of the University Registrar. October 11, 2010. p. 40. Retrieved May 20, 2011. ^ List of candidates for graduation: 159th Commencement Exercises (PDF). De La Salle University Office of the University Registrar. February 3, 2011. p. 28. Retrieved May 20, 2011. ^ "Academic Calendar". De La Salle University. Retrieved May 19, 2011. ^ "De La Salle University College of Law: Estimated cost of tuition and fees (in Pesos) based on curriculum" (PDF). De La Salle University. pp. 1–4. Retrieved May 20, 2011. ^ "Average Tuition Fees for Freshmen". De La Salle University. Retrieved May 20, 2011. ^ "Graduate Students". De La Salle University. Retrieved May 20, 2011. ^ Ferdinand Marcos (November 11, 1974). Presidential Decree 577 (PDF). Manila: Arellano Law Foundation. Retrieved May 20, 2011. ^ "Scholarships". De La Salle University Undergraduate Viewbook (PDF). Manila: De La Salle University. 2011. pp. 7–10. Retrieved May 20, 2011. ^ "La Salle joins UP in THE World University Rankings 2019". ABS-CBN News. September 27, 2018. Retrieved September 27, 2018. ^ "Ateneo de Manila University". Philippine Accrediting Association of Schools, Colleges and Universities. Archived from the original on October 4, 2011. Retrieved May 20, 2011. ^ "Ateneo de Manila University". Association of Christian Universities and Colleges in Asia. Retrieved May 20, 2011. ^ "De La Salle University". Philippine Accrediting Association of Schools, Colleges and Universities. Archived from the original on October 4, 2011. Retrieved May 20, 2011. ^ a b "History". De La Salle University. Retrieved May 21, 2011. ^ William S.A. Frias (January 2008). "Assessment of the DLSU Library's Book Collection on Language and Literature" (PDF). De La Salle University Library Newsette. Manila. 39 (1): 1, 3. Retrieved May 21, 2011. ^ Ana Maria B. Fresnido (April 2007). "Assessment of the DLSU Library's Book Collection on Language and Literature" (PDF). De La Salle University Library Newsette. Manila. 38 (4): 1, 4–6. Retrieved May 21, 2011. ^ "World History, Philosophy and Religion Collections Assessed" (PDF). De La Salle University Library Newsette. Manila. 37 (3): 1, 3. March 2006. Retrieved May 21, 2011. ^ William S.A. Frias (December 2001). "Assessment of the DLSU Library Periodicals Collection" (PDF). De La Salle University Library Newsette. Manila. 32 (11–12): 2. Retrieved May 21, 2011. ^ "University Library Increases Borrowing Limit to 30" (PDF). De La Salle University Library Newsette. Manila. 40 (9–10): 1, 5. October 2009. Retrieved May 21, 2011. ^ "University Archives". De La Salle University. Retrieved May 21, 2011. ^ "Memorabilia, Artwork, and Museum Collections". De La Salle University. Retrieved May 21, 2011. ^ "Lasalliana and Other Special Collections". De La Salle University. Retrieved May 21, 2011. ^ "De La Salle Museum taps Architect Philip Recto". Philip H. Recto Architects. Retrieved May 21, 2011. ^ "About The Museum". De La Salle University. Retrieved May 21, 2011. ^ "De La Salle University Science Foundation, Inc". De La Salle University. Retrieved May 21, 2011. ^ "De La Salle University Science Foundation, Inc". Philippine Council for NGO Certification. Retrieved May 21, 2011. ^ "URCO holds annual tribute to faculty researchers" (PDF). 2401. Manila. 40 (21): 12. April 13, 2009. Retrieved May 22, 2011. ^ Br. Armin Luistro FSC (April 13, 2009). "Affirming our commitment to knowledge construction" (PDF). 2401. Manila. 40 (21): 5–8. Retrieved May 21, 2011. ^ "The Zonal Research Center". Commission on Higher Education Zonal Research Center NCR Group 1. Retrieved May 21, 2011. ^ Ester A. Garcia (March 13, 2000). CHED Memorandum Order No. 3 Series of 2000 (PDF). Pasig: Commission on Higher Education. Retrieved May 21, 2011. ^ "About Us". De La Salle University Center for Empathic Human-Computer Interactions. Retrieved May 23, 2011. ^ "Publications and presentations". De La Salle University Center for Empathic Human-Computer Interactions. Retrieved May 23, 2011. ^ "Parallel Paper Presentation Schedule" (PDF). Osaka University School of Engineering. September 30, 2010. pp. 1–4. Retrieved May 23, 2011. ^ "CCS demonstrates first RP's empathic computing space" (PDF). 2401. Manila. 41 (13): 3. December 1, 2009. Retrieved May 23, 2011. ^ "COE, JICA form partnership through rural electrification project". DLSU Newsletter. Manila. 34 (46). April 14, 2003. Retrieved May 23, 2011. ^ "History: 2000". De La Salle University. Retrieved May 23, 2011. ^ Alvin Culaba. "Chapter 6: Governance and resource issue in the Philippine R & D". Energy and Environment Report: A focus on renewable energy research and development in the Philippines (PDF). Asia and Pacific Centre for Transfer of Technology. p. 54. Retrieved May 23, 2011. ^ "Center for Micro-Hydro Technology for Rural Electrification" (CeMTRE)" (PDF). NGO–JICA Japan Desk Newsletter. Makati. 9: 1–2. November 2005. Retrieved May 23, 2011. ^ Leo James English (1987). Tagalog – English Dictionary (2nd ed.). Mandaluyong: Cacho Hermanos. p. 1238. ISBN 971-08-4357-5. ^ Leo James English (1987). Tagalog – English Dictionary (2nd ed.). Mandaluyong: Cacho Hermanos. p. 1221. ISBN 971-08-4357-5. ^ "SINAG Finishes World Solar Challenge with a Day to Spare". De La Salle University. September 27, 2007. Retrieved May 23, 2011. ^ "Sleeker solar car launches RP tour". Manila Bulletin. January 13, 2010. Retrieved May 23, 2011. ^ "New solar car kicks off nationwide tour" (PDF). 2401. Manila. 41 (15): 3. January 18, 2010. Retrieved May 23, 2011. ^ "The SINAG Project". De La Salle University. Retrieved May 23, 2011. ^ "NRIs by country". Asian Regional Research Programme on Environmental Technology. Retrieved May 23, 2011. ^ "Official website". Asian Regional Research Programme on Environmental Technology II. Retrieved May 23, 2011. ^ "College of Engineering". De La Salle University. Retrieved May 23, 2011. ^ "Sustainable Technologies Research Group". De La Salle University. Retrieved May 23, 2011. ^ "Office of the Dean of Student Affairs". De La Salle University. Retrieved May 24, 2011. ^ "CSO miscalculates accreditation grades of student orgs". The LaSallian. Sandi Suplido. December 30, 2010. ^ "Council of Student Organizations" (PDF). De La Salle University. Retrieved May 24, 2011. ^ Leo James English (2007). Tagalog–English Dictionary (2nd ed.). Cacho Hermanos. p. 966. ^ "Student Publications". De La Salle University. Retrieved May 24, 2011. ^ "Section 1.3.6: Performing arts groups". Operations manual AY 2010–2011 (PDF). Manila: De La Salle University Cultural Arts Office. 2010. p. 5. Retrieved May 24, 2011. ^ Public Information Service Unit (July 16, 2010). "RP Choirs Shine in UK Competition – UST Singers Win "Choir of the World" Award". Department of Foreign Affairs. Retrieved May 24, 2011. ^ Rose Eclarinal (July 9, 2010). "DLSU Chorale serenades Pinoys in London". ABS–CBN Europe News Bureau. Retrieved May 24, 2011. ^ "History". Tampere Music Festivals. Retrieved May 24, 2011. ^ Dean of Student Affairs (July 29, 2010). "[DSA] DLSU Chorale garnered awards during their European Tour". De La Salle University. Retrieved May 24, 2011. 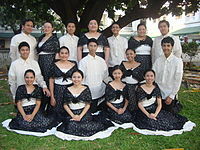 ^ "De La Salle University Chorale In Concert" (PDF). Philippine Embassy to the United Kingdom. ^ Angel Bombarda (March 23, 2011). "LSDC-Street: The La Salle kind of dance". Manila Bulletin. Retrieved May 24, 2011. ^ Anthony Divinagracia (March 13, 2011). "La Salle wins UAAP street dance tilt". University Athletic Association of the Philippines. Retrieved May 24, 2011. ^ "Section 1.3.6: Performing arts groups". Operations manual AY 2010–2011 (PDF). Manila: De La Salle University Cultural Arts Office. 2010. pp. 4–5. Retrieved May 24, 2011. ^ "Harlequin Theatre Guild: Love Express". De La Salle University. Retrieved May 24, 2011. ^ ""Unang Ulan ng Mayo" to be staged from October 9–11". Philippine Entertainment Portal. October 6, 2008. Retrieved May 24, 2011. ^ RDA (March 2010). "AdU Theater presents "Rizal is My President"". Adamson University. Retrieved May 24, 2011. ^ "DLSU's Harlequin presents 'Rizal is My President'". The Philippine Star. August 14, 2009. Retrieved May 24, 2011. ^ "Overview". De La Salle University. Retrieved May 24, 2011. ^ "Sports Clubs". De La Salle University. Retrieved May 24, 2011. ^ "University Athletic Association of the Philippines". De La Salle University. Retrieved May 24, 2011. ^ Cris Akol; Imman Canicosa (November 5, 2010). "DLSU closes gap in General Championship with UST". The LaSallian. Manila. ^ "Speaker Jose De Venecia of the House of Representatives, Congress of the Philippines" (PDF). Global Organisation of Parliamentarians Against Corruption. Retrieved May 24, 2011. ^ Maila Ager (February 5, 2008). "De Venecia ousted, Nograles is Speaker". Philippine Daily Inquirer. Retrieved May 24, 2011. ^ "Curriculum vitae: Hon. Jose De Venecia Representative 4th District, Pangasinan" (PDF). Congress of the Philippines. pp. 1, 5. Retrieved May 24, 2011. ^ "Istana Nurul Iman". Arabia MSN. Retrieved May 24, 2011. ^ "Leandro V. Locsin". Arkitekturang Filipino. Retrieved May 24, 2011. ^ IRPA, DLSU ITS, DLSU STRATCOM, DLSU. "De La Salle University : Office of the University Registrar : Honorary Degree Awardees". www.dlsu.edu.ph. Retrieved March 26, 2018. ^ "Appointments and Positions of Significance". Archdiocese of Manila. Retrieved May 24, 2011. ^ Michelle O'Donnell (June 1, 2005). 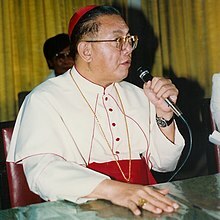 "Cardinal Jaime Sin, a Champion of the Poor in the Philippines, Is Dead at 76". The New York Times. Retrieved May 24, 2011. ^ a b "Honorary Degree Awardees". De La Salle University. Retrieved May 24, 2011. ^ "Chinese billionaire Jack Ma 'extremely humbled' by honorary degree from DLSU". GMA News. October 25, 2017. Retrieved October 25, 2017.